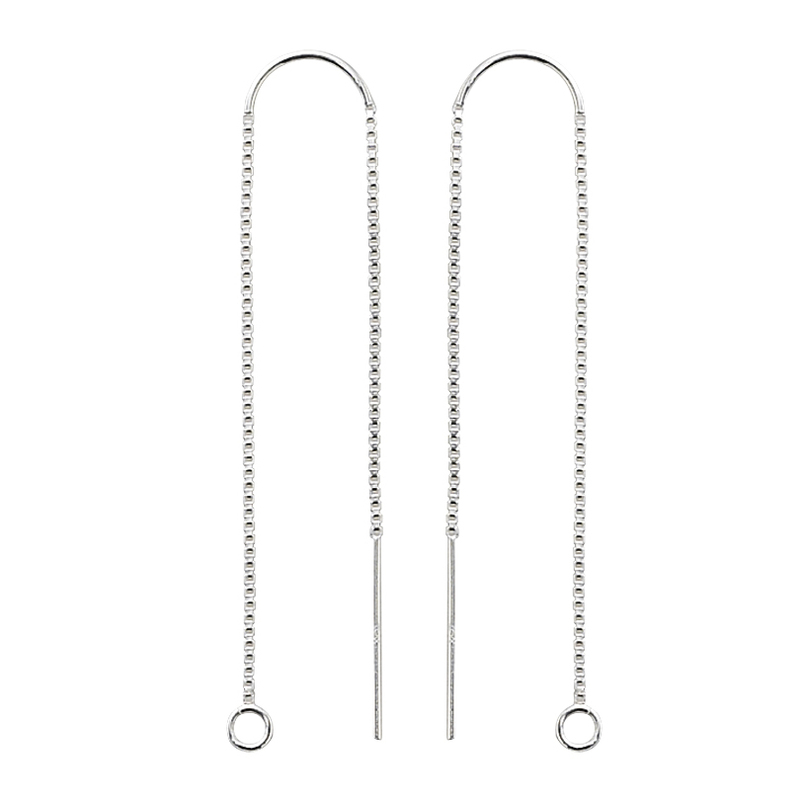 Sterling Silver threader earrings with solid U top and Box Chain. 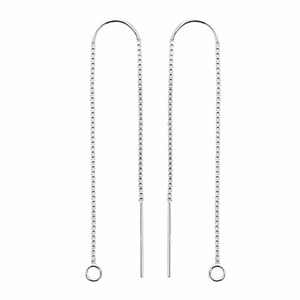 The solid U top adds comfort and stability - reduces the chances of the earring being pulled out during wear. The piece measures approximately 4 inches from end to end when streched out. (2 inches from top of U to bottom of each end). Ring 3.5mm and is open. Sold per pair.